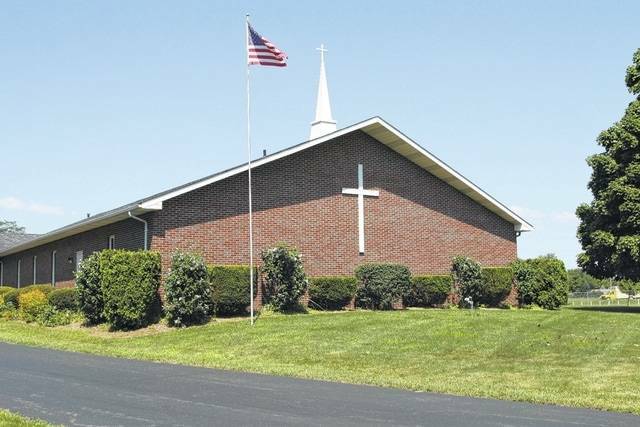 GALION — This weekend will feature a new event in Galion, thanks to the congregation of Galion Missionary Alliance Church. Their PB&J Ministry team (Precious & Beloved by Jesus) is holding a 5K Run, Walk, and Roll starting at 10 a.m. this Saturday. The PB&J team is an outreach program of the church that serves families affected by special needs. The event will also include a one mile Fun Run for children. Both the 5K and Fun Run are open to wheelchairs, bicycles, and even those on roller blades. The early response to the event by the public as well as sponsors has been beyond expectations. “We have received 100 pre-registrations and approximately 42 sponsors from across the community so far,” said Stacey Harding. She and her husband Matt are part of the PB&J team at Galion Missionary Alliance. T-shirts made by Dear Downey in uptown Galion will be given away while supplies last, and there are numerous door prizes and awards to be given away, too. A special portion of the event is motivational speaker Bob Bardwell. Mr. Bardwell suffered an industrial accident in 1973 that left him confined to a wheelchair for the rest of his life, but that has not slowed him down. Bardwell has competed in more than 100 wheelchair marathons and spends his time travelling and speaking to those with disabilities of all types. Not only will Bardwell be speaking to those in attendance this Saturday, but he will be participating as well. Galion City Schools, located directly behind Galion Missionary Alliance on Portland Way North, has donated the use of their campus for the event. The Fun Run will be held on the campus, and the 5K will start on the campus and continue to the street in the surrounding neighborhoods. This is the second special needs outreach event the PB&J Ministry has held for Galion and surrounding communities. They have held their PB&J Baseball League for special needs players for the past two summers on the fields at Peco Park. “It’s a commitment, but it is so worth it for our family and the church,” Harding continued. Proceeds from the 5K and Fun Run will go to support future plans of the PB&J Ministry Team. One of those plans is to send a special needs child and their family of caregivers to a week long camp named Johnny and Friends. Registration begins at 8:30 this Saturday at Galion Missionary Alliance Church located at 430 Portland Way North. Cost is $20 for the first entry and $10 for an additional entry from the same family. Races will get started at 10 a.m.
Missionary Alliance Church outreach program for kids with special needs.